The Occupational Safety and Health Administration (OSHA) is considering eliminating the requirement to report some injury and illness data electronically. For the past few years, an OSHA recordkeeping rule has required establishments covered by record-keeping regulations to submit certain reports to the federal government online. Currently, certain companies with 20-249 employees are required to submit OSHA Form 300A each year. 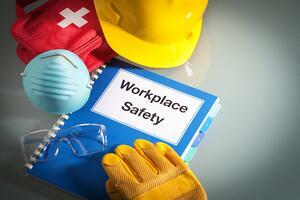 The OSHA Form 300A summary details workplace injuries and illnesses. In addition, larger establishments with 250 or more employees were supposed to begin electronically submitting data from OSHA Form 300 and 301. Those forms are illness and injury logs and incident reports. However, in light of anticipated changes, OSHA announced it would not be accepting the additional submissions. A Notice of Proposed Rulemaking was issued in July and proposed changes would eliminate the requirement to electronically submit OSHA Forms 300 and 301. Larger establishments would still be required to submit Form 300A electronically. OSHA had hoped analyzing and posting some of the injury and illness records from Forms 300 and 301 would improve tracking of workplace injuries and encourage employers to improve workplace safety. Instead, it was determined electronic data submission may increase the risk to worker privacy because it may reveal personally identifiable information. Many business owners and other members of the business community cited these types of concerns all along. OSHA does not plan to make any changes to the anti-retaliation guidelines put in place by the electronic record-keeping rule. The business community had hoped these requirements might be relaxed as part of the revamp because the rules give OSHA broad discretion to cite employers for having policies or practices that could discourage employees from reporting workplace injuries and illnesses.The anti-retaliation rules also place limitations on safety incentive programs and drug-testing policies. The proposed rule is open for public comment through September 28, 2018. In the meantime, large employers still need to submit 300A summaries for each work establishment with 250 or more employees. Establishments with 20-249 employees covered by OSHA's high-hazard establishment list must also submit 300A summaries electronically. Recordkeeping and reporting are key when it comes to OSHA compliance. Failure to keep track of incidents (even minor ones) or implement corrective action can result in very costly violations. At FrankCrum PEO, a team of risk management experts helps keep employers in compliance with federal, state and local regulations.